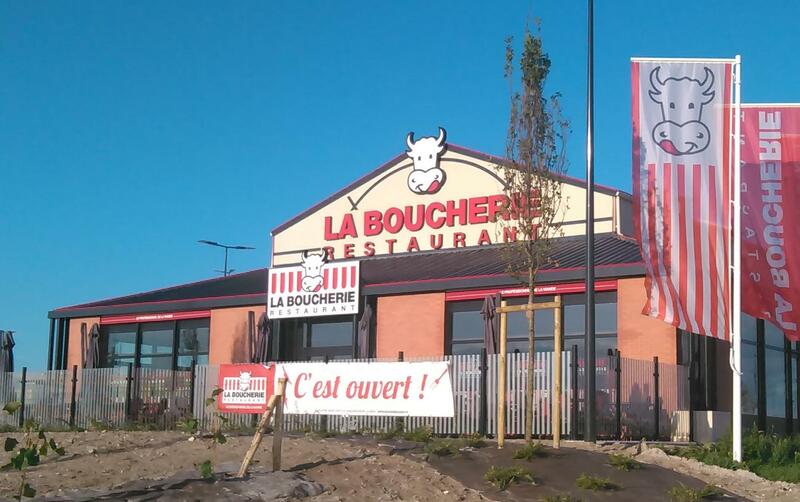 La Boucherie Restaurant is the meat specialist and offers its customers high quality products every day in an original and friendly atmosphere. From local dishes to traditional recipes, grilled meats à la plancha, large salads or gourmet burgers, La Boucherie’s menu is a pleasure to savour. Everything is prepared with the greatest care. La Boucherie restaurants are uncompromising on the quality and origin of their products. The waiters welcome you in a warm and relaxed atmosphere and punctuate their service with light-hearted expressions in Louchébem (butchers’ slang).